For example, [1,7,4,9,2,5] is a wiggle sequence because the differences (6,-3,5,-7,3) are alternately positive and negative. In contrast,[1,4,7,2,5] and [1,7,4,5,5] are not wiggle sequences, the first because its first two differences are positive and the second because its last difference is zero. 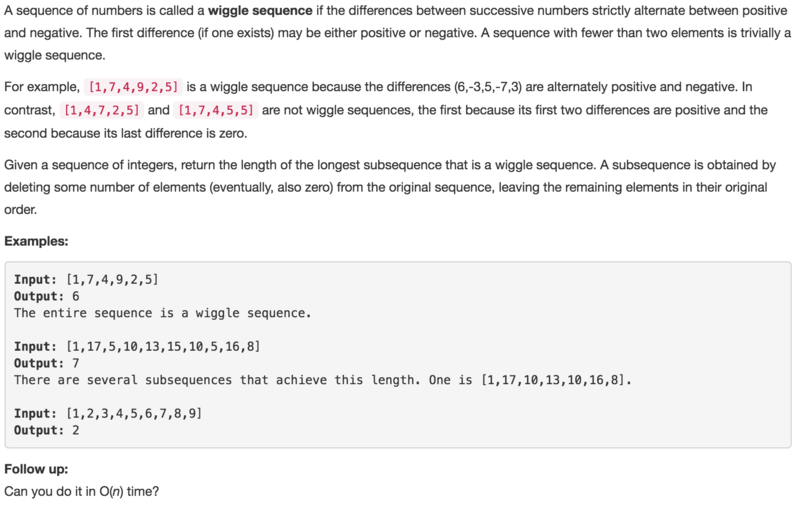 Given a sequence of integers, return the length of the longest subsequence that is a wiggle sequence. A subsequence is obtained by deleting some number of elements (eventually, also zero) from the original sequence, leaving the remaining elements in their original order. 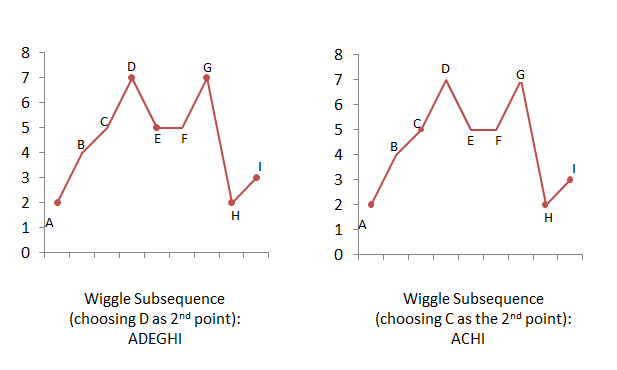 The entire sequence is a wiggle sequence. There are several subsequences that achieve this length. One is [1,17,10,13,10,16,8]. Can you do it in O(n) time?